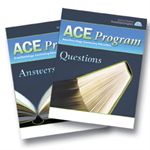 Back issues of ACE 2016 Issue A. Does not carry CME credit. Valuable compendium of classic clinical knowledge. Portable paper versions only.